In conjunction with NatureServe, INR's Landscape Assessment and Mapping Program is making remote sensing-based vegetation maps for the major national parks in the Pacific Northwest. Detecting climate change impacts on the distribution of vegetation requires an accurate map of baseline conditions made using a repeatable methodology. 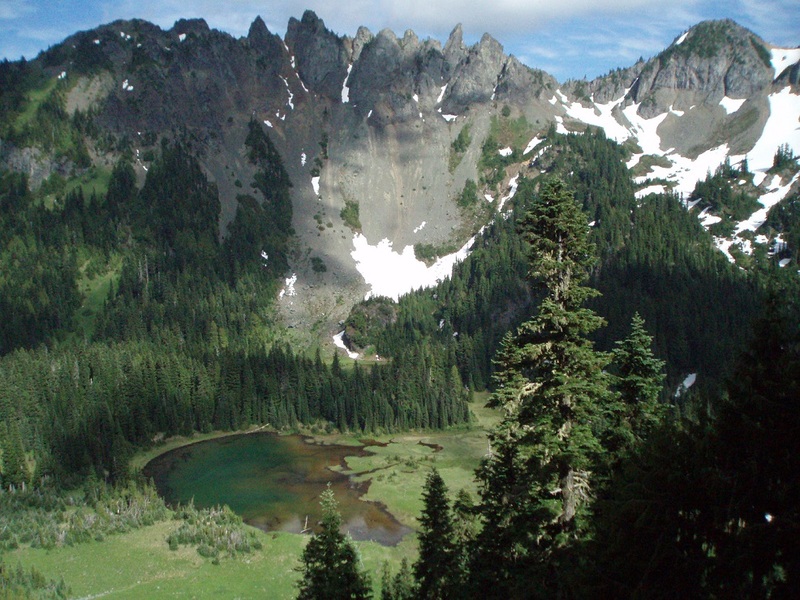 The National Park Service Inventory & Monitoring Program has embarked on a major vegetation mapping project for Mount Rainier, Olympic, North Cascades, and Lewis and Clark National Parks. These vegetation maps will use the recently revised National Vegetation Classification System. They will be targeted to the Alliance level, roughly equivalent to dominant canopy species with some major types further differentiated by temperature or moisture modifiers. Multitemporal Landsat TM imagery, supplemented by color-infrared aerial photography, LiDAR elevation and vegetation height data where available, and extensive field training data collection, will form the basis of the mapping, which will be performed using Random Forests data mining techniques. The new maps will provide a baseline against which to measure vegetation change and will also provide useful for studies of the impacts of climate change on a variety of vegetation processes, including carbon dynamics and disturbance. The Lewis and Clark National Historical Park map and report were completed in 2012. Final products for the other parks will be available from the National Park Service website at their Natural Resource Reports page. Owyhigh Lakes, Mount Rainier National Park. Photo credit: Lindsey Wise.